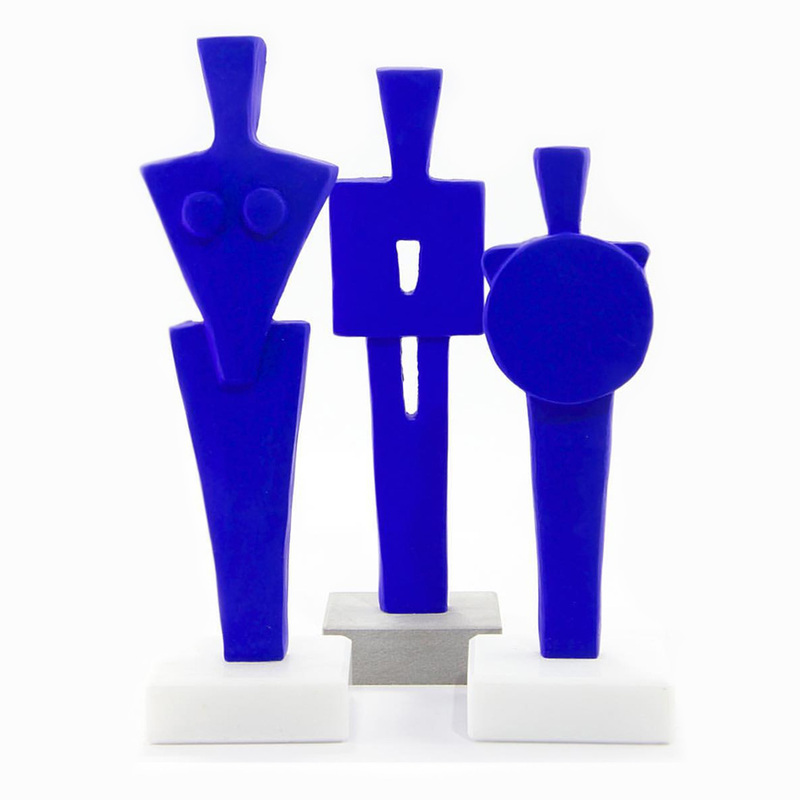 He is known for his Yves Klein Blue sculptures using a colour that the artist finds stimulating and inspiring. 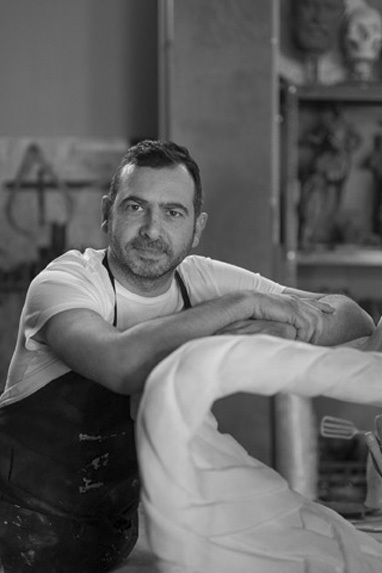 He studied sculpture at the School of Fine Arts of Tinos and then at the Fine Art School of Aristotle University of Thessaloniki where he graduated with distinction. 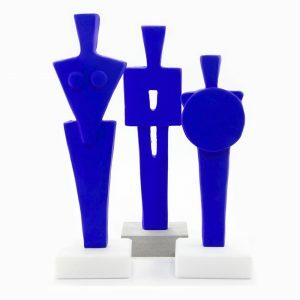 He has participated in many group exhibitions and he won numerous awards in Greek and international sculpture symposiums. His work links the past with the present bringing together the concepts of time and art. His sculptures are characterised by hubs, which are formed by blending belts and stripes, encircled and embraced eternally. This is the artist’s attempt to redefine the form and hold it captive through the time. 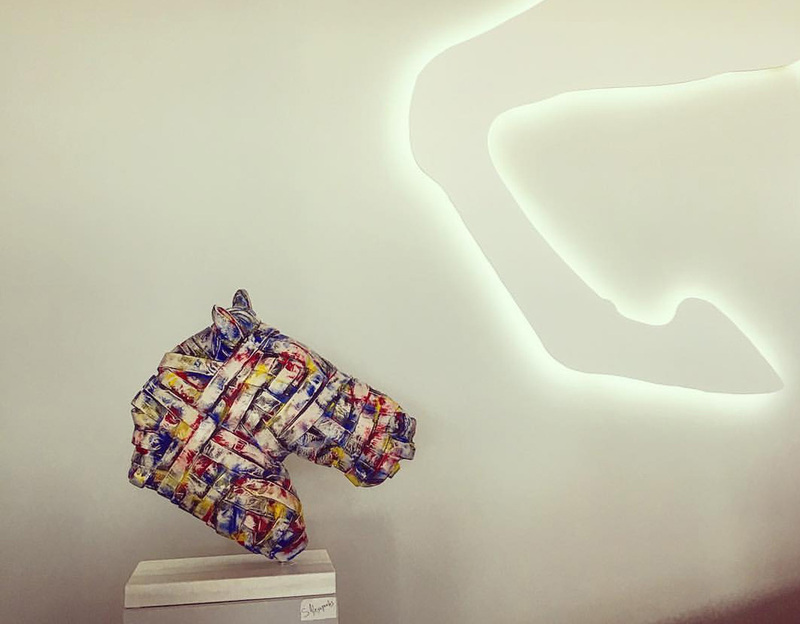 His creations can be found in major museum art shops, galleries and private collections. These include the Macedonian Museum of Contemporary Art, Benaki Museum, Theocharakis Foundation and SNFCC. His pubic work creations decorate many big Municipalities of Greece and abroad. 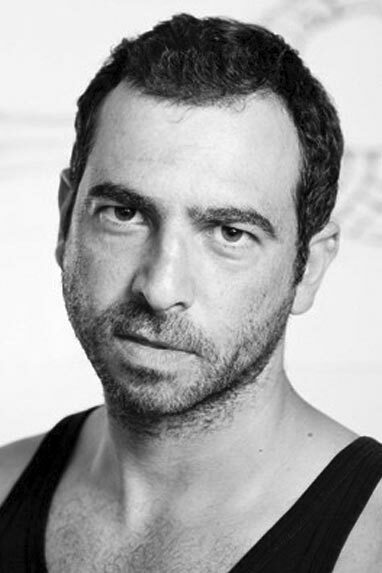 He has also co-operated creatively with big companies in their advertising campaigns. where he currently lives and works.